In this tech-driven world, it’s so easy to be overwhelmed by the latest and greatest. When you’re getting ready to embark on a coach bus trip this winter, Toronto’s premier coach rental service wants to make sure you’re entertained, prepared and informed. Which apps do you really need? What is worth the precious limited storage on your smartphone? 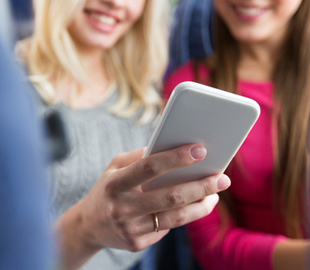 We have you covered with the top apps to travel with this season. Finally, an app taking the guess work out of the most dreaded part of the trip – packing! PackPoint will organize what you need to pack based on length of travel, weather at your destination and any activities planned during your trip — simple as that! Available for Android and iPhone. Heads Up! is the hilarious game that Ellen DeGeneres plays on her show, and now you can play it with your friends on your smartphone. From naming celebrities, to singing, to silly accents, you have to guess the word on the card that’s on your head from your friends’ clues before the timer runs out! Oh, and it records your friends’ hilarious attempts at acting things out, for playback or sharing on social media later. Available for Android and iPhone. Sure, you could do this old-school and buy a Mad-Libs pad from the bookstore or dollar store, but why bother? This awesome app gives you an unlimited selection of hilarious scenarios to choose from. Download various themed Mad Libs apps as well, including Hello Kitty and Family Guy for some pop culture humour. Available for Android and iPhone. We don’t doubt that you’ll be taking dozens of photos once you arrive at your destination, maybe even while in transit — but have you found a way to keep those pictures safe? Tech can be tricky sometimes, and it would be a total shame to lose all those awesome memories. Shoebox provides FREE unlimited photo backup. Store your photos in the cloud and save space on your device — take more photos without worrying about storage limits. Lose your phone? No worries, just log in to Shoebox from your PC or Mac to recover the images. We can’t get enough of this app, it’s awesome. Built for commuters and their daily needs, this one single app is for all the different challenges of city life. Citymapper provides A to B directions that humans actually use in cities with real-time routing that updates every minute. Finally, navigate new cities with ease and stress free! Available for Android and iPhone.